Intel has agreed to purchase Canadian credential manager PasswordBox. As a result of the acquisition, PasswordBox will become a part of the Safe Identity organization within Intel’s Security Group. Described as a virtual safety deposit box, PasswordBox works much like LastPass in that it stores all of your online passwords and allows you to easily log into sites whenever you visit them. Users can also share account passwords with friends and family as well as store things like memberships, passports and credit cards in a digital wallet. There’s even a feature known as Legacy Locker that lets a user transfer their accounts to a trusted individual upon their death. PasswordBox CEO and co-founder Daniel Robichaud said they’ve spent the last two years building a product that people love, trust and use around the world every day. Together with Intel Security, he believes they can offer their customers world-class technology, expertise and support to bring secure access everywhere. The service will remain available as is for now. Best yet, Intel Security is offering all new and existing customers a premium subscription at no cost until the release of a new product from Intel Security (no word on when that is expected, however). Intel Security was formed in January 2014 when the chipmaker phased out the McAfee Security brand it had purchased in 2010 for $7.86 billion. 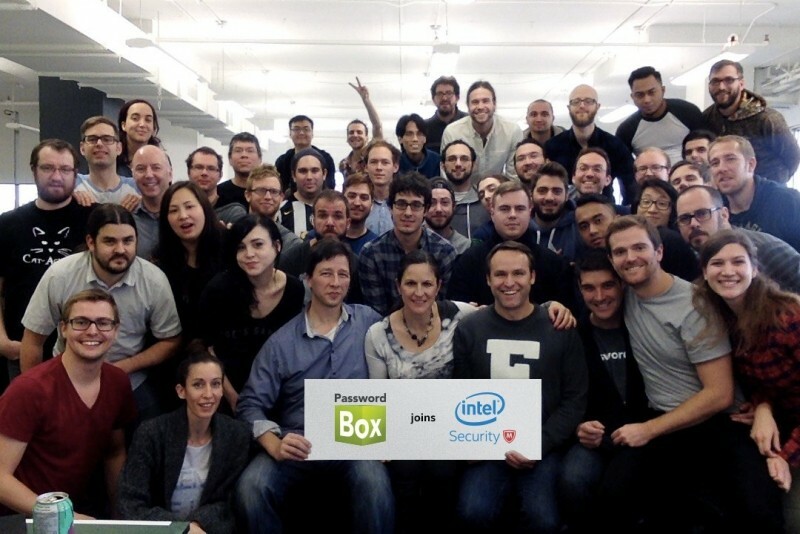 All of PasswordBox’s 48 employees will be joining Intel Security, we’re told. Terms of the deal were not disclosed.